Having stayed in Gisborne since the 1st of September, we decided it was time to move. We have to leave NZ at the end of December, so if we wouldn't leave now, all we would ever know from New Zealand's nature and landscape would be the immediate area around Gisborne. November 19th was our last day of work. For the last 1 1/2 months we had been working in Gisborne. Bilge Rat found a job in a Turkish restaurant, that serves the best Falafel in the southern hemisphere and I had taken up a job with the local power company helping in IT support and server administration. On my last workday the IT crowd would prepare a little farewell breakfast for me, which was really nice. There even were little Pavlova cakes and people explained to me that it were New Zealanders that first invented the recipe, with Aussies only copying it. And that the original Pavlova is of course served with Kiwi fruit and not with Strawberries. Luckily the breakfast table included a plate of Strawberries allowing me to try both. 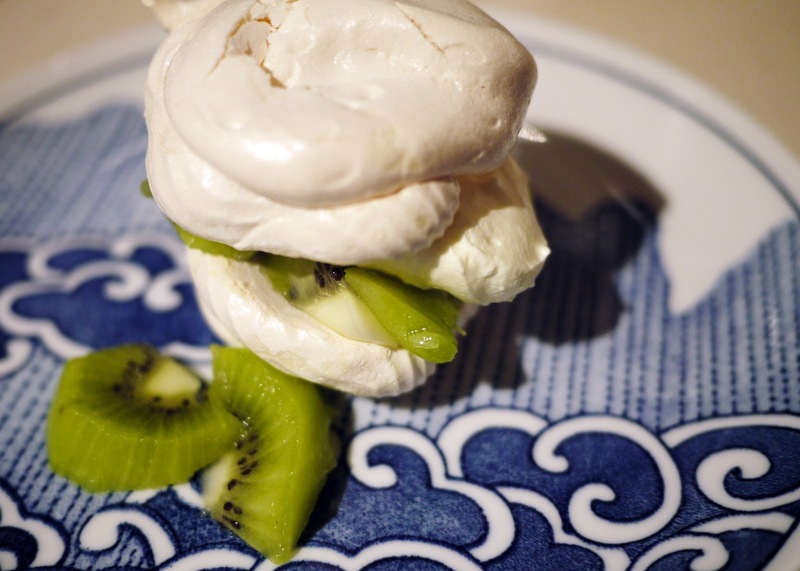 Well Pavlova is very very sweet consisting almost solely of cream, marshmallow and sugar. But with fresh fruit to go along with it, it tastes pretty yummy. For whether to use Kiwis or Strawberries, I think both taste great. From Bilge Rat's workplace we got a last free Falafel Kebab which we enjoyed to the utmost. It was hard to say farewell to both, but off we needed to go. It took us more than two days to get prepared for the Road Trip. On the one hand we needed to leave&clean our apartment and fit all our stuff in two suitcases, on the other hand we had a list with things to get in Gisborne before departure. There was an insane %sale% at an outdoor store for people working in Gisborne. We almost thought to have missed it, when we didn't manage to get there by Saturday, but more lucky than we deserve, it also was open on Sunday (The offer expired this week). So why were we so eager to go there? Remember our great walk at Lake Waikaremoana? Well we are planning a lot more of hiking, but the bad experience we had with carrying our current backpacks for miles and miles, we decided to invest in better backpacks. Well the discount was 70% making us pay something around 200$ instead of 600$. Not to bad I think. On Sunday we finally had the apartment left clean behind and got all the supplies we needed so that we said a last farewell to Gisborne and left it for the last time on the Southern Highway going to Morere and Wairoa. And thus our road trip has started. Now for the next six week we have no kitchen, no bed, no running water, no toilet and no shower. We will sleep in the car, eat food that needs no cooking, make ample use of public toilets and sleep at the back of our car. We might make rough plans, like heading to Tongariru or trying to get to the South Island as quickly as can be, but every morning we will wake up without any idea of where the road will take us today. We will listen to tapes we got from a Gypsy fair and our little MP3-Player and just enjoy the road.